Please join us for our monthly business breakfast. This is a great networking opportunity and always informative. 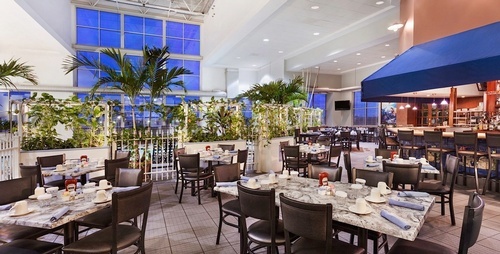 Hemingway's at The Coral Reef - Holiday Inn 17th St.
Want to shift some of your energy spend to projects more central to your guests’ experience? Constellation will share ways to lower your energy costs and fund energy efficiency upgrades. Constellation, an Exelon company, is a leading competitive energy company providing power, natural gas, renewable energy, and energy management products and services to businesses across the United States. We provide integrated energy solutions — from electricity and natural gas procurement to renewable energy supply and energy efficiency — that help customers strategically buy, manage and use their energy. Today, approximately 2 million residential, public sector and business customers, including two-thirds of Fortune 100 companies, rely on our commitment to innovation, dependability, transparency and service.